I finally tried another recipe I was scared of. Are you proud of me? 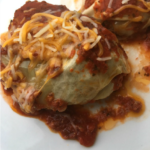 This slow cooker cabbage roll recipe is AMAZING! Especially since it’s healthy AND made in the slow cooker! And, it’s not nearly as hard as I had originally thought it was. Thank goodness! If you’re following a low carb or Trim Healthy Mama meal plan, you can easily make this recipe and eat on plan, especially if you’re sure to pick no sugar spaghetti sauce. We ended up boiling the cabbage for a few minutes to soften it, but I wish we would’ve done it a little longer, as the center leaves weren’t soft enough to fold without breaking. It still turned out great, but some of the last cabbage rolls were harder to get wrapped up, due to the stiff leaves. 1 cup uncooked quinoa can substitute grated cauliflower, wild rice, carrots, etc. Boil head of cabbage for about 5 minutes until leaves soften enough to easily remove. They should be able to easily fold around the meat mixture. Mix together raw ground beef, quinoa, water, onion, garlic, salt and pepper. Separate the leaves from the head of cabbage, keeping them as in tact as possible. Start filling your cabbage leaves, folding them over (like a burrito) so none leaks out. 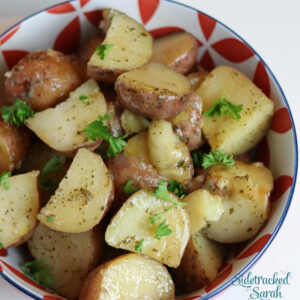 Place them in the slow cooker as you fill them. Pour the spaghetti sauce over the top. If you have more than one layer, be sure to pour sauce over each layer. Cook on low for 8 hours or on high for 5-6 hours. Top with cheese and enjoy your amazing dinner! Place the rolled cabbage rolls in a cake pan or on cookie sheet, not touching each other. Place in freezer, so that they will freezer on the pan. Once frozen, remove from freezer and place in a gallon sized freezer bag. Label & lay as flat as possible to freeze. On cooking day, place frozen cabbage rolls in your slow cooker (don’t allow to defrost first, or they’ll fall apart). Top with spaghetti sauce and cook as directed above. *Some links in this post are affiliate links.